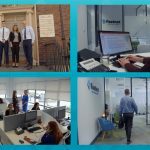 VIDEOZOOM were commissioned to produce a series of videos for Irish Distillers Pernod Ricard for use in the company’s intranet service. The videos are part of the Production Jigsaw series and are designed to enhance internal communications across the production and administration divisions in Dublin and Cork. This clip is a promotional trailer for the Production Jigsaw series. Irish Distillers Pernod Ricard is Ireland’s leading supplier of spirits and wines and the producer of Jameson, a huge success story for the Company, being the world’s fastest growing international brand of whiskey. IDL also produces four of the top ten spirit brands in Ireland (Powers, Paddy, Huzzar and Cork Dry Gin) and West Coast Cooler, and distributes top international brands such as Absolut, Havana Club and Malibu.